Moray-based aircrews are called to the cockpits of their Typhoon fighter jets in “heightened readiness” every few days, it has emerged. 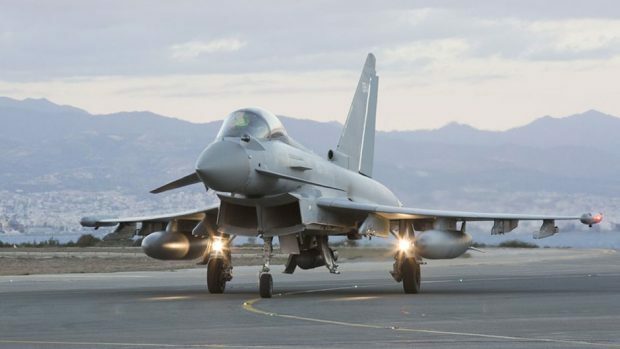 Official figures show there were 120 days in 2016 where crews were scrambled to the runways at RAF Lossiemouth or RAF Coningsby in Lincolnshire, and another 138 days last year. And there were 25 days in which the Quick Reaction Alert (QRA) forces, which operate from the two bases, were “called to the cockpit” between January and March this year. The QRA respond to potential threats to UK airspace 24 hours-a-day, 365 days a year. If the crews are called to the cockpit, it means they have been put on heightened readiness, and they sit in the jets waiting for the order to launch or stand down. QRA jets have already launched twice between January and March, with RAF Lossiemouth crews intercepting two Russian long range bombers which were approaching the UK in January. Figures released by the Ministry of Defence (MoD) show there were six QRA launches last year, three of which were involving Russian aircraft, and 12 in 2016, five of which were responding to Russian activity. There were 12 launch days in 2015, down from the 20 in 2014, and 17 in 2013, with Russian aircraft involved in eight of the incidents in each of those three years. RAF Lossiemouth was saved from closure in 2011 when it was announced that the Typhoon jets from Leuchars would replace the Tornado fleet at the Moray base. It took over the QRA responsibility in 2014 and is now the last remaining air force base in Scotland. Defence Secretary Gavin Williamson visited Lossiemouth last month to mark the start of construction on a huge hangar will house nine submarine-hunting Poseidon P-8s, with a total price-tag of £3 billion. The aircraft, which will begin arriving in Moray in 2020, are the reason for an investment of more than £400 million in the base’s infrastructure, which will eventually lead to nearly 500 extra personnel being deployed there.